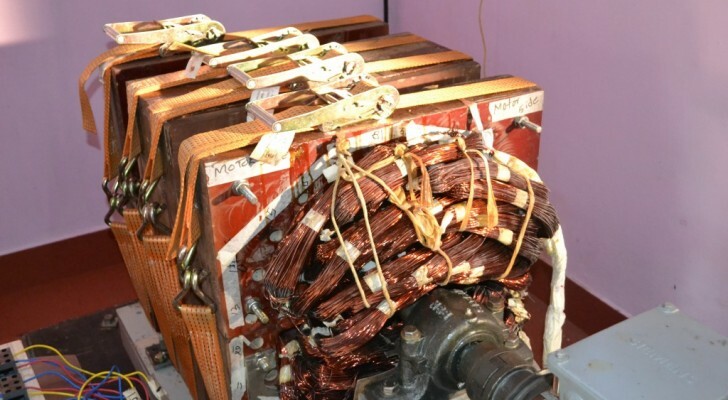 A Reactionless AC Synchronous Generator (RLG) has been invented by Paramahamsa Tewari, electrical engineer and former Executive Director of Nuclear Power Corporation of India. His background includes engineering project management for construction of nuclear power stations. The efficiency of models he has built, which have also been independently built and tested, is as high as 250%. For the practical demonstration of generation of electrical power from the medium of space, Tewari has built reactionless generators that operate at over-unity efficiency, thereby showing physicists have been wrong about the nature of space for 110 years and he has shown that space is the source of energy for the generation of basic forms of energy.